The Israeli WildCat MRAP by IMI as a Mine Resistant Ambush Protected vehicle (aka MRAP) to transport troops safely in hostile urban environments. 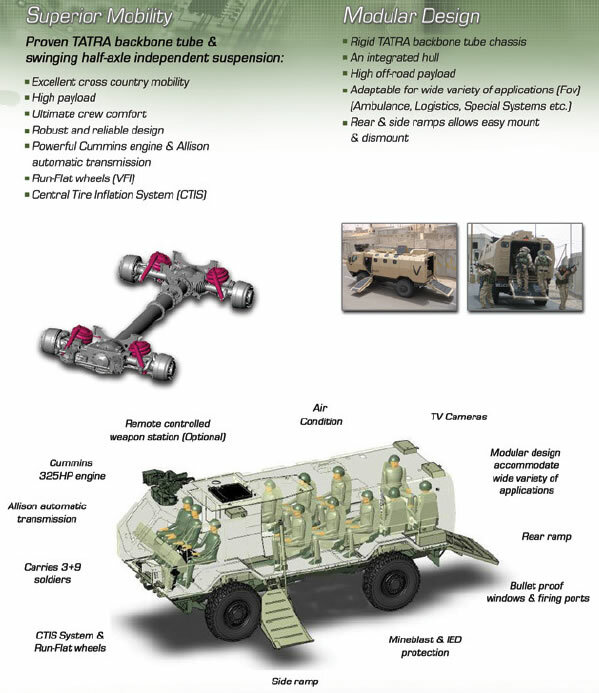 IMI designed the modular constructed fighting compartment on a Czech Tatra 4×4 wheeled chassis with a V-Shape Hull. In late 2007 the Wildcat ‘Alpha’ prototype went through a series of successful all round mobility tests. Wildcat was designed to meet current USMC specifications for a medium weight personnel carrier (MPC). In early 2008 the Wildcat went through a US Marine Corps evaluation in the USA. 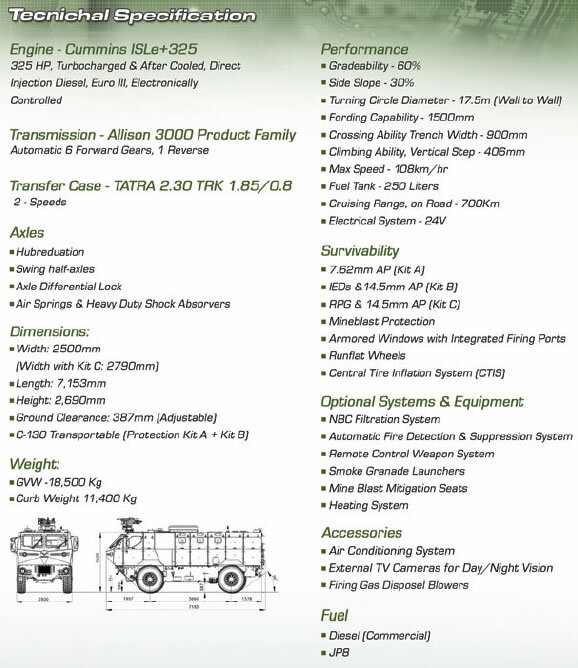 The vehicle was first publicly seen at the Eurosatory 2008 exhibition in Paris. It has yet to attract any orders.